Even the smallest spaces in a home should be as appealing as they are practical. When you are tired of the bland and drab look of your bathroom, we invite you to turn to us for your remodeling services. At our local company, we are happy to deliver a series of solutions for bathroom remodel projects of all sizes and complexities. Whether you are looking for a simple upgrade or a major overhaul, depend on us to help you transform your room into a space you are proud to show off to your friends, family, and neighbors. Due to its small size, the bathroom is often the last room to be made over when homeowners perform a remodeling. However, this small space can tie an entire home together when it is outfitted with the right features and fixtures. From switching out vanities to installing a new set of cabinets, our home renovation contractors give you a way to upgrade your room to a modern look. Not sure where to start? With all of the options available, we understand it can be difficult to decide on the details of your bathroom remodel. Fortunately, our experienced team is here to help you. We work closely with you to choose the bath tile and other features that will make your room stand out for all of the right reasons. Over time, even the most beautiful bathroom can start to look worn down and tired. The longer you live in your home, the more outdated your cabinets, vanities, and other fixtures will become. This tired look can have a negative impact on the overall value of your residence, and can make you feel embarrassed of this space. 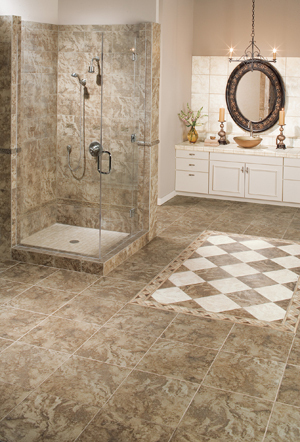 By undergoing a bathroom remodel from our experienced team, you will create a fresh atmosphere in rooms of all sizes. Our contractors are committed to providing you with the top standard of service for your custom renovation. Whether you know exactly how you want your room to look or you are in need of some extra inspiration, our contractors are here to help you. We offer a wide range of different services for your half, master, and guest bathrooms. Contact our contractors to work with our team for your remodeling services. We proudly provide bathroom remodel options for clients throughout Tillsonburg, Ontario, and surrounding areas.